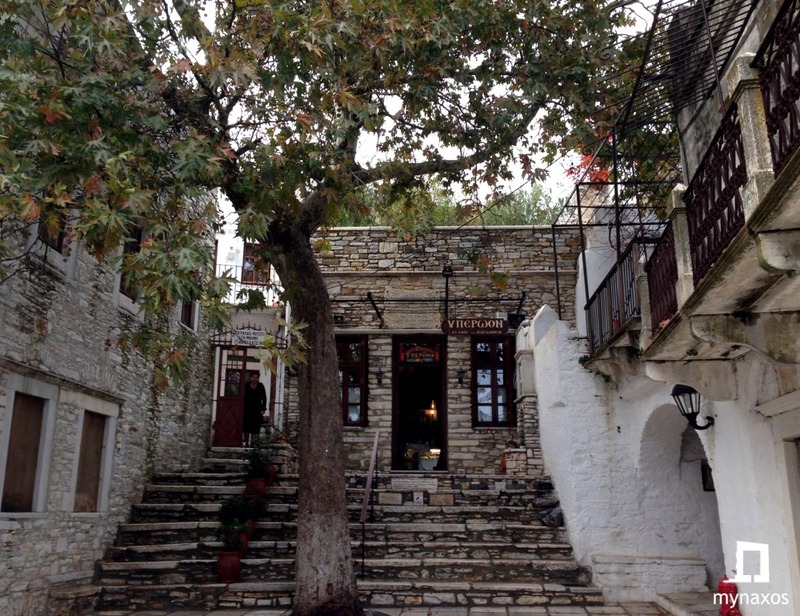 The village of Aperanthos, is the only village of Naxos which has 4 museums and all of them are around the center of the village. It is located in the center of the village and it features important finds dating from prehistoric times and brought to light the archaeological excavation. It belongs to the Ministry of Culture and has the name of the inspirer of the creation of the Museum of Mathematics, Professor Michalis Bardanis. The important scientist gathered the most, giving them to the state and urging the rest villagers to do the same. It’s not always open we suggest you firstly to call for more information at +3022850 61725. 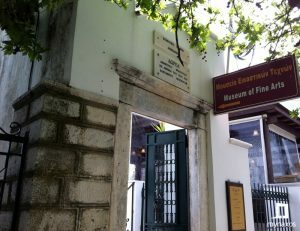 It is one of the most important museums of its kind in Greece. 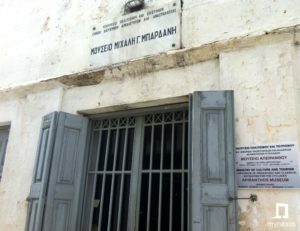 The Geological Museum of Apiranthos is at the entrance of the village. 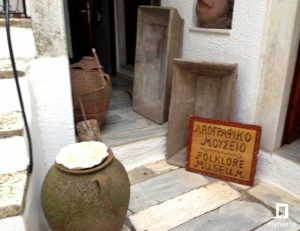 More than 2500 rare stones are exhibited in its showrooms, both from the village, Naxos and the Cyclades, as well as from the rest of Greece and various regions of the world. The museum is open to the public all day (except holidays) and the ticket costs 2 euros. For more information you can call at +3022850 61725. It is located at the entrance of the village and its exhibits are of particular interest. It has special departments dedicated to the sea and land. The visitor will admire a large natural aquarium in the first part of the museum, as well as a wonderful collection of 265 shells on the island. In the section devoted to the land, the collection of the flora found in the water basin of the Perahoritis torrent is very close to the village. In the same section, there are samples of the fauna of Naxos. It is open to the public all days (except holidays) from May to October from 11.00 to 17.30. For more information you can call at +3022850 61622. 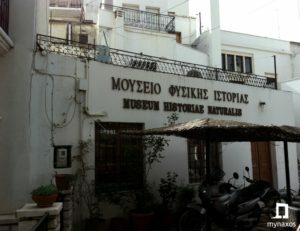 The Museum of Fine Arts operates in a hall of the Cultural Center of Aperanthos. It was a vision of Manolis Glezos and Nikos Katsouros , which became reality. The museum exhibits works of 75 Fine Art Artists (painters, sculptors, engravers and potters) and artists from all over Greece. The entrance fee is 2 euros. The museum is open to the public all days (except holidays) from May to October from 11:00 to 17:30. 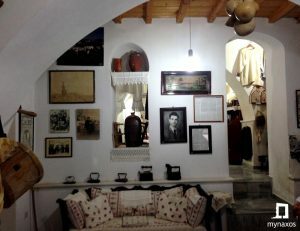 It is housed in a traditional house, located in the village square. 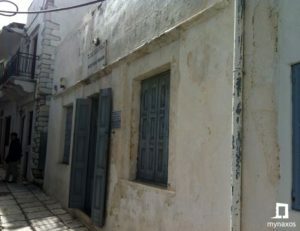 The museum consists of three rooms (kitchen, loft and bedroom workshop) and a yard. It is a representation of the interior of a villa, just as it was 100 years ago. Visitors can get to know everyday the farm tools, the shepherd’s tools and the clothes of the inhabitants of Apernathos through the years. The museum is open to the public all days (except holidays) from May to October. The entrance fee is 2 euros. Contact number for more information : +3022850 61629.